Sometimes, you need the very best in science to achieve that youthful, glowing skin. Second to Creation is proud to provide the Renuvion/J-Plasma system, a state-of-the-art device that’s the next progression in non-surgical skin resurfacing. Using plasma technology, the Renuvion/J-Plasma system can remove the damaged, older layers of skin with remarkable precision to reveal the young, healthy skin underneath. 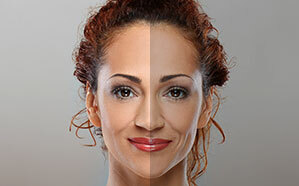 The Renuvion/J-Plasma system can treat a wide range of skin conditions: wrinkles, sun damage, and discoloration—and it can do it with fewer treatments and minimal downtime. Best of all, the Renuvion/J-Plasma system can stimulate natural collagen production, so patients with sagging skin can enjoy non-surgical skin tightening. The Renuvion/J-Plasma device’s incredibly precise mechanism allows for a greater amount of control, making it optimal for treating delicate areas (like the ones around the eyes and lips) without harming the skin. With the Renuvion/J-Plasma system, our patients can have a treatment that’s light years ahead of what a laser system can provide. Second to Creation is actually one of the very first practices in the Inland Empire area to offer the Renuvion/J-Plasma system procedure. Of course, we’re known for more than our state-of-the-art technology; we deliver cutting-edge treatments with an incredible attention to detail because, more than anything, we believe that outstanding patient care is the true key to breathtaking results. At Second to Creation, we want our patients to be active partners in their treatment; we’ll take the time to educate and guide you through every step of your Renuvion/J-Plasma energy treatment. It’s Dr. Machida’s mission to support and empower our patients, so he’ll listen intently to all your concerns to help you achieve the goals that are most important to you. Renuvion/J-Plasma system is so powerful that it only needs one treatment to effectively treat certain conditions. After one session, many patients notice a dramatic improvement and naturally smoother, tighter, and younger looking skin. And in many cases, Renuvion/J-Plasma system results last for a very long time. Your Renuvion/J-Plasma system treatment will be quick, comfortable, and convenient. Each treatment will be performed under local anesthesia, so patients don’t have to worry about any pain or discomfort. 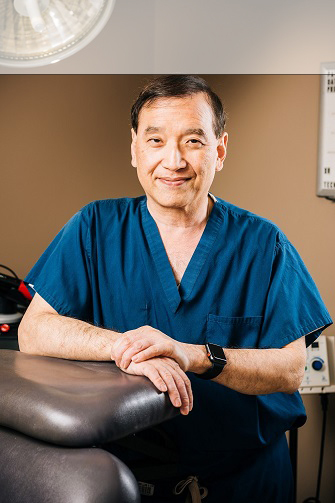 During the Renuvion/J-Plasma system procedure, Dr. Machida will use the device to treat a specific area so that the narrow plasma beam can ablate the outer skin layer (also known as the epidermis.) Once the whole face has been covered by the device, the ablated epidermal layer may be wiped away. Certain patients may receive a second pass, which treats the dermis underneath the epidermis, depending upon the depth of their wrinkles. Other patients may have the ablated layer left intact for quicker healing. The number of passes that a patient receives will depend on certain factors; if the patient wants a shorter recovery time, then the one-pass technique will do. If the patient is pairing their Renuvion/J-Plasma system with a facelift, a one-pass technique might also be apt. Deeper wrinkles may require a two-pass technique. The procedure itself only takes an hour to perform; when accounting for anesthesia time and oral sedation, the patient should expect to be in and out of the office after around 2 hours. Who’s the Ideal Candidate for Renuvion/J-Plasma system? The ideal candidate for Renuvion/J-Plasma system is a patient with fair skin, moderate signs of aging, and some relaxation on the face. What’s the Recovery Like for Renuvion/J-Plasma system? As the skin heals from the Renuvion/J-Plasma system treatment, patients will experience temporary side effects like skin peeling and redness. These side effects are expected to last for at least two weeks, but they should feel very mild and can be easily treated with over-the-counter pain medication. Some residual redness might last for up to six months, but this can be covered with makeup after 2 weeks. Overall, it takes a minimum of two weeks to recover from a Renuvion/J-Plasma system treatment. How Does the Renuvion/J-Plasma system Work? Renuvion/J-Plasma system uses advanced plasma technology to resurface and rebuild the skin down to the cellular level. While other skin resurfacing devices use immense heat, the plasma coagulates the tissues without burning the skin. The Renuvion/J-Plasma energy beam essentially eliminates the outer layer of skin, removing blemishes, damaged skin, and finer signs of aging. Concurrently, the skin reacts to the “wound” by starting a healing “cascade” that stimulates collagen production and new skin cell growth. Gradually, the skin heals into a smoother, cleaner, and younger version of itself. Unlike laser or light treatments, the Renuvion/J-Plasma system uses an ionized helium plasma beam. This type of plasma beam allows for a more intricate level of control, and it operates at a fraction of the temperature of laser treatments. That means that the Renuvion/J-Plasma system is so efficient that it’s less likely to harm surrounding tissue, so patients can rest assured the treatment is as safe and efficient as a non-surgical treatment can be. Is Renuvion/J-Plasma system Better than Surgery? Renuvion/J-Plasma system can tighten sagging skin, but not to the degree that a surgical procedure can. Surgical procedures like the facelift can do wonders for physically lifting loose skin, but not all signs of aging have to do with skin elasticity; residual damage like sun spots, hyperpigmentation, and wrinkles can’t be directly treated with a lift. If you do want to address drooping skin, patients always have the option of pairing their Renuvion/J-Plasma system with a facelift. Incredible technology backed up by outstanding care: It’s the STC way. Dr. Machida is more than happy to help you decide if the Renuvion/J-Plasma system is for you. We won’t pressure you into undergoing something you don’t need, and we’ll make sure you have the right information to make the right choices. Contact Second to Creation, one of the first practice in the Inland Empire to offer Renuvion/J-Plasma system.